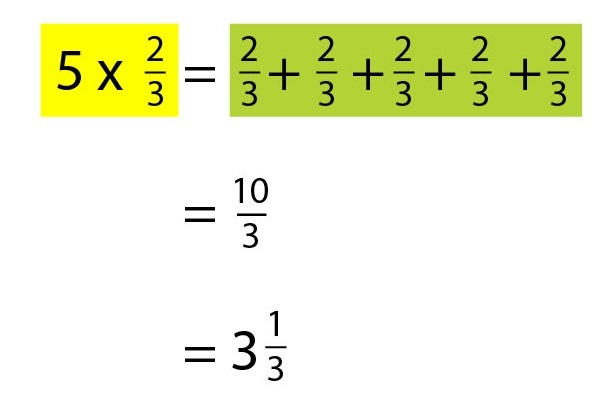 Let's recap the meaning of multiplication. 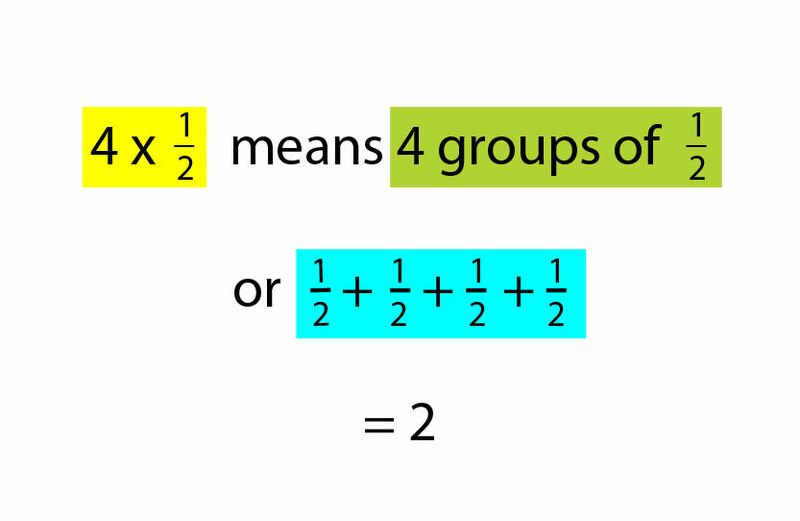 When we multiply whole numbers, we are actually adding groups of the same number. or 3 + 3 + 3 + 3. 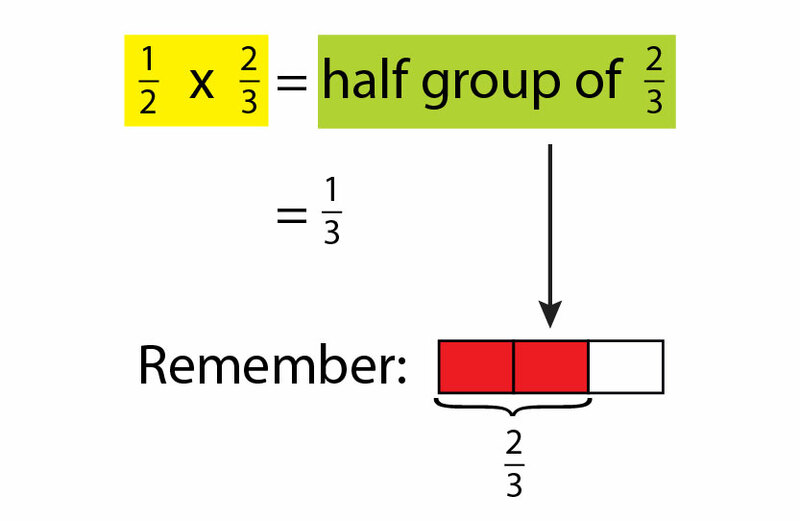 Similarly, when we multiply fractions we can also think of grouping fractions. Let's see some examples. Let's multiply a whole number with a fraction. Now let's look at something more complex. We can also multiply two fractions. 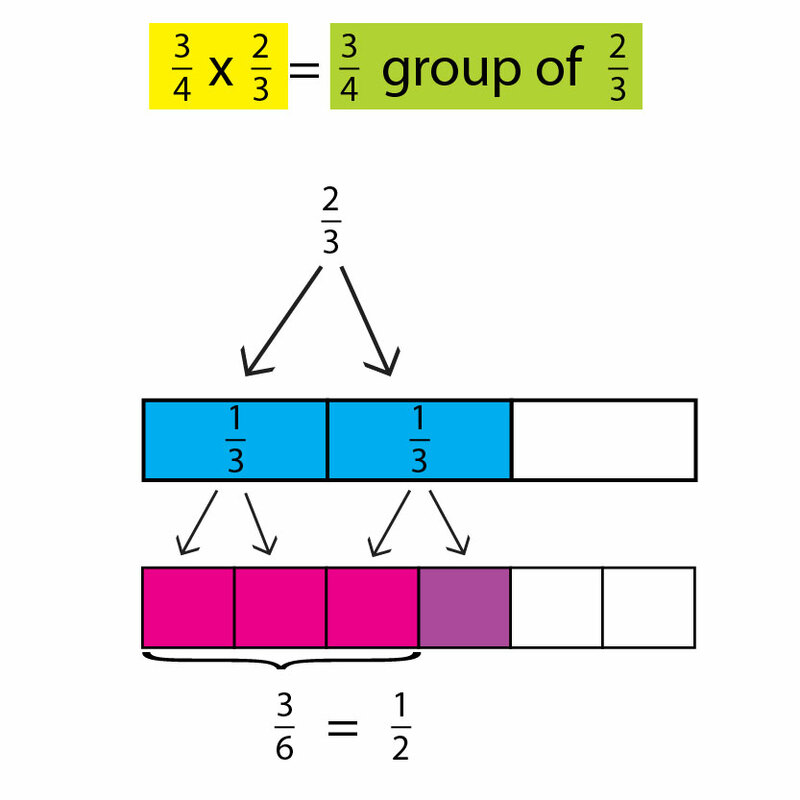 Instead of whole groups, we now want a fraction of a group. To make this concept easier to digest, it would be helpful to draw out the models. 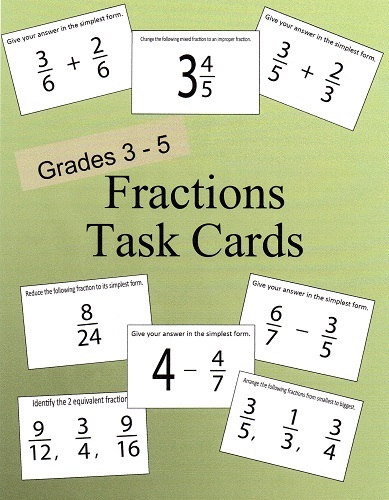 Go back to Fractions Explained if you need to. Here is another example. We want a fraction of a fraction. 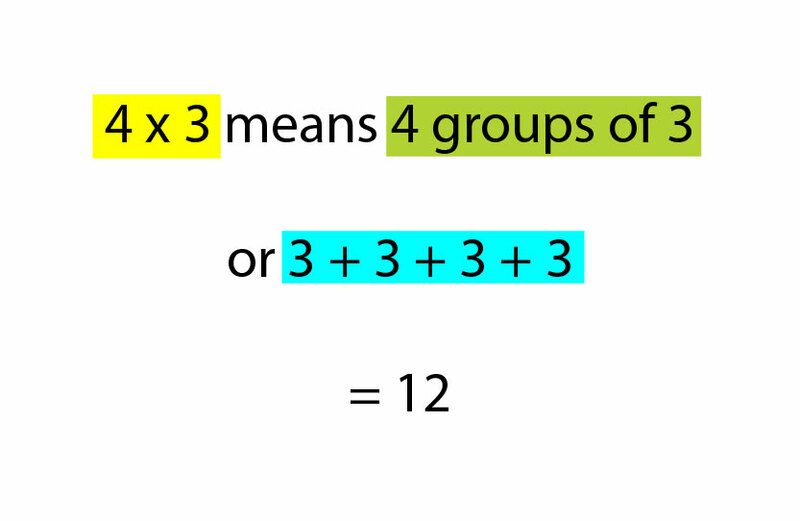 First we know that two-thirds is made up of one-third and one-third, that is, two parts (blue boxes). Since we want only three-quarters of the two parts, we need to change the two parts into 4 smaller parts (red and purple boxes). Lastly, we need only three out of the four parts (red boxes). But we need to count all the other parts that we don't need to form the fraction three-sixths. Remember to reduce that to the simplest form, which is, half. 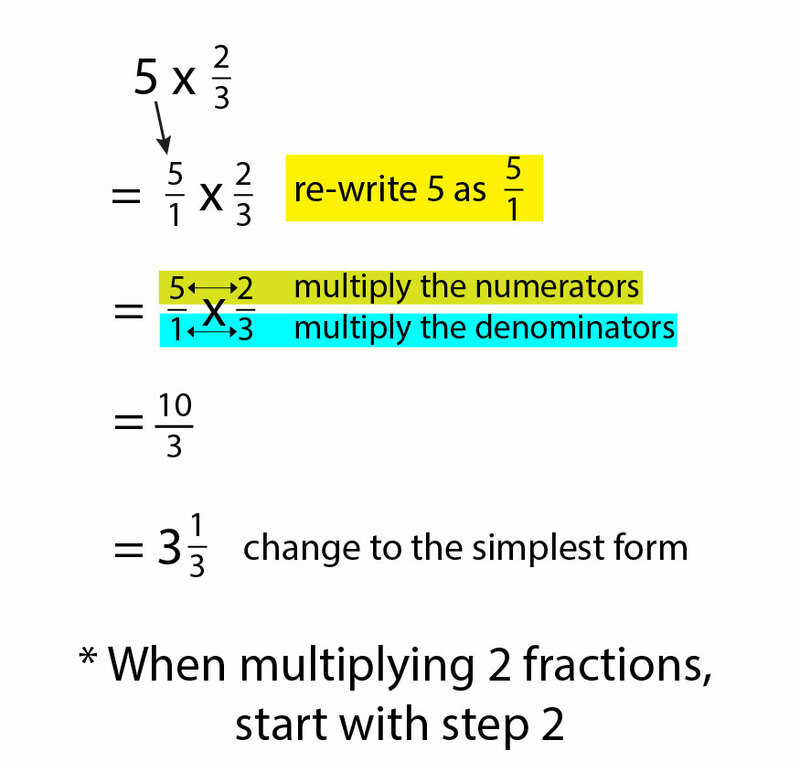 Now that you understand the concept of multiplying fractions, we can simplify things by using a set formula.